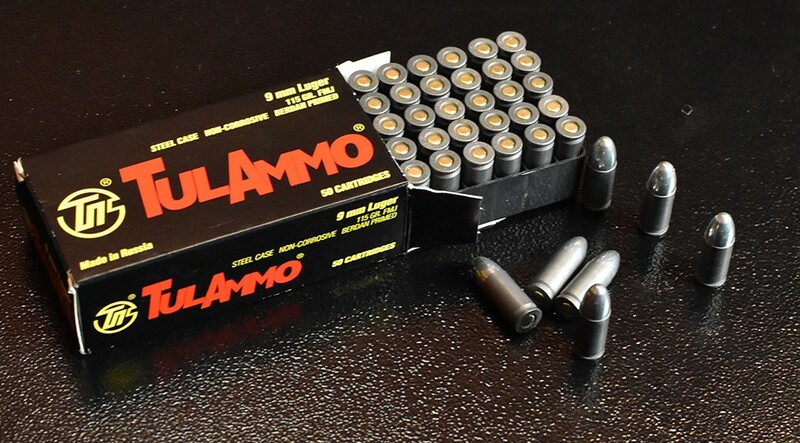 Although brass is the most common metal used for ammunition cases, steel cased ammo like the Tula 9mm rounds above seem to be gaining in popularity, especially among high-volume target shooters who need reliable yet affordable ammunition. You can find steel-cased ammunition for many different cartridge types, but it’s most common among the high-volume military or popular civilian rounds. 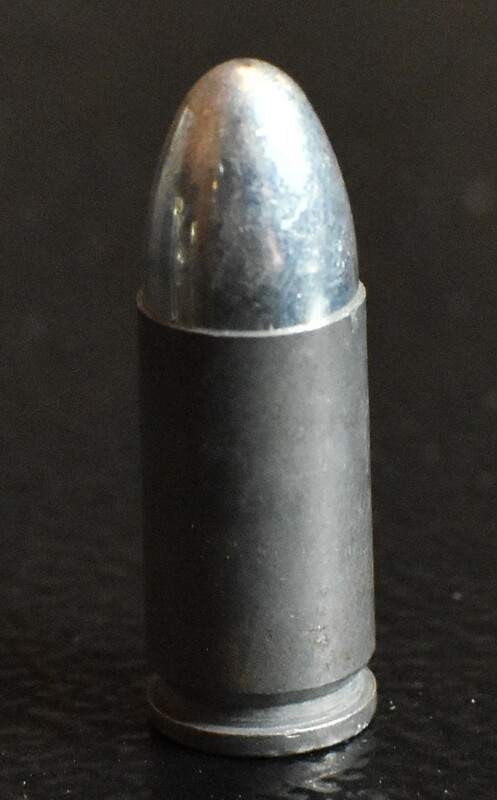 The 7.62 NATO, 7.62 Soviet, 5.56x45mm, and 9mm Luger are examples of cartridges often found with steel cases. To reduce friction and enhance cycling, steel-cased ammunition often has an exterior coating. This can either be a lacquer or, more recently, a polymer coating. By providing an affordable option for many firearms owners, steel casing can be extremely useful. However, you need to be aware of the potential drawbacks and compare these to typical brass cases. While the effectiveness of steel cases is strongly debated, they might be the right choice for your specific needs. Above all, the reason that someone would choose a package of steel-cased ammunition over brass-cased is the price. Steel, as a raw material, is more affordable than brass, so even steel-cased ammunition with polymer coatings will have a lower price. The cost difference per round might seem minimal, but over the course of a year, it can add up to significant savings, especially for high-volume target shooters using semi-automatic firearms. There are other slight advantages to using steel, but they are minimal at best compared to the price advantage. If you are looking for affordability in your high-volume shooting, you should consider steel-cased ammunition. Steel is a harder metal than brass, and while this can bring disadvantages inside the firearm (see below), the steel cases are less likely to be damaged and misshapen. Again, this is a minimal benefit, but it can provide some justification for choosing steel. This one could be seen as both an advantage or a disadvantage, depending upon where you shoot. The steel cases used in ammunition are magnetic, which can make picking up spent cases easier, especially for people with bad backs. With a magnetic nail sweeper, which is commonly used in construction sites for picking up nails, cleanup becomes easier whether you’re at the gun range or shooting on your own property. The bad news? Many ranges don't allow steel cased ammunition to be fired because it's frequently loaded with a bullet that contains steel as well. 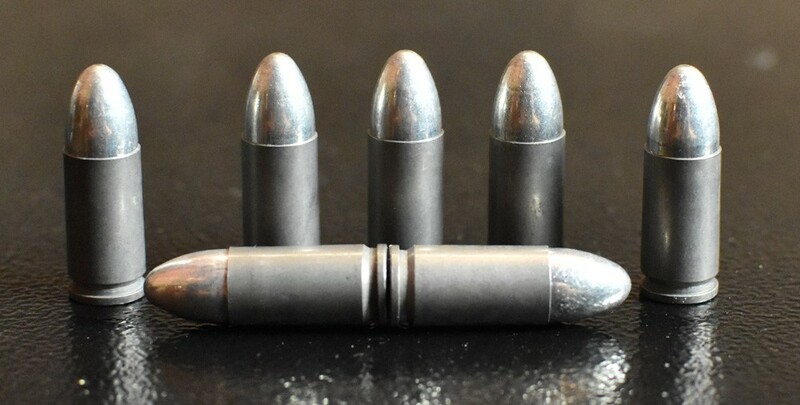 These steel bullets can do significant damage to backstops at shooting ranges. The largest disadvantage for steel-cased ammo is the increased chance of jams and malfunctions in the firearm, specifically in semi-automatic weapons that use a gas-powered cycling system. These weapons rely on a smooth yet extremely fast transition from one round to the next, but the increase friction of steel creates a greater potential for cases (either spent or otherwise) to become jammed in the chamber or ejection port. While manufacturers have sought to reduce this issue by giving steel-cased ammo a coating of lacquer or polymer, it appears that even with these additions, steel still tends to cause jams more than brass. If you’re in a competition, a jam can cost valuable points. Far worse, if you are in a self-defense situation, a jam could be life-threatening. Steel is harder than brass, and any time two hard metal rub together, there will be wear. Over the course of thousands of rounds, using steel cases does have the potential to wear down vital internal components in the firearm faster than brass. Steel will be harder on components such as extractors and the interior of the chamber. While the wear won’t be noticeable until the firearms has gone through thousand of steel cases, it is a concern for these cartridges. Another issue with steel cases is that they are not as universally reloadable as brass cases. While reloading steel is possible, reloading brass is far easier. Brass, a softer metal, is easier to work in the press than steel, and because it’s more flexible, will likely last through more reloads. Also, steel cases tend to use Berdan primers, which are more difficult to reload. You can, however, find Boxer-primed steel cases, depending on the manufacturer. Although the lacquer or polymer coatings will make the steel cases rust resistant, it does not make them rust proof. Steel is still susceptible to rust, so you need to practice proper storage and make sure the ammunition is stored in a safe, dry location. (As always.) However, like all steel products, steel-cased ammunition can rust, and this rust could be deposited into your firearm, creating functional problems. While steel cases have their flaws, they can be an affordable option for high-volume target shooters who want a low-cost options. With steel cases, you can enjoy your favorite shooting sport with less burden on your wallet. You can see all of our in-stock steel-cased ammo above and know you're getting the cheapest bulk prices out there on the web. Or, if you decide that you'd rather shoot brass - you can easily search through all of our brass-cased ammunition as well. In either case, you'll get free shipping on any order of $99 more!